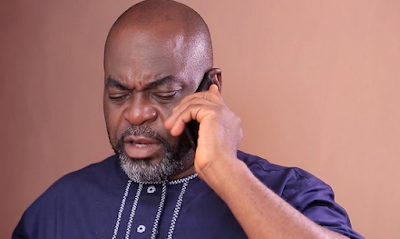 While their English-speaking counterparts in the Nigerian movie industry spend hours in the gym burning unwanted calories and building their biceps, it seems that actors in the Yoruba-speaking sector of the industry are not bothered about buffing up. In a recent chat with Saturday Beats, popular actor, Funsho Adeolu, said most English-speaking actors had a six-pack because they are not really actors but models. “They have a lot of time to do exercises. They are models and not really actors; I am not joking. A busy actor would only think of his health and do the normal exercise to keep fit. What am I using a six-pack for? I want to dress and be seen as a role model. “In the Yoruba-speaking movie setting, when you get to a particular age, you would not be given the role of a small boy so I do not need a six-pack. By the time you keep a six-pack, it gets to a point where it turns to a nonsense pack because they would not use it again. The only thing is to live a healthy life. “When you see that you are getting obese, work on it. I used to be a model but I did not have a six-pack. I learnt taekwondo as well. I am not saying having a six-pack is bad or that it is bad to look nice. If I have to take a picture, I can easily tuck in my tummy. “I started from the English-speaking genre and then came to the Yoruba-speaking part of the industry. I am more comfortable with the Yoruba-speaking sector of the industry because I learn a lot here. In the English-speaking sector, I do not learn anything,” he said.